Vaporpuffs offers FREE SHIPPING on all orders within the USA! We are currently offering free 2-5 business day shipping to anywhere in the United States. Delivered to your door! Most small items and international orders ship via USPS with either First Class Mail or Priority Mail, depending on your location and the shipping costs involved (at the discretion of our Shipping Department). The checkout process on our website features built-in shipping options that are real-time and true to cost, so you receive email confirmation immediately upon placing your order. Feel free to contact us to sales@vaporpuffs.com for customized order summary or shipping options. While USPS does not provide complete tracking information for orders shipped with First Class Mail, Vaporpuffs purchases a delivery confirmation number, at our own expense, to confirm successful delivery of your shipment. As soon as your order is packed, Vaporpuffs sends tracking information to the email address you have provided. For further details please contact us to: sales@vaporpuffs.com for further details. Payments made online are marked as from ‘Skynet Enterprises, LLC’ on your bank statements and Online Banking. Your orders will always be shipped in plain, unmarked packaging! Our packaging is inconspicuous with no indication of the contents on the outer packaging. No Vaporpuffs logo, no product indications. We offer discreet shipping services on all our shipments. Our packages will not display any information that would reveal the box contents. Furthermore, please note that the shipper on the package will appear in some cases as “Skynet Enterprises, LLC”, “Skynet, LLC”. Vaporpuffs features next day processing with next day shipping for orders placed Monday – Friday before 2:30pm EST. Free Shipping: 2 to 5 business anywhere in the United States. Vaporpuffs Shipping Department operates from Monday through Friday. If an item is SOLD OUT, upon your e-mail request it will be notified when became available.Signing up to be notified does not reserve a copy of this item for you. When you receive the e-mail informing you that the item is available, you’ll need to return to Vaporpuffs.com to place your order. We provide shipping options through USPS and FedEx for all international customers. Feel confident that we will make sure your order arrives safely at your international location.International transit time is estimated and may incur delays due to the destination’s customs processing. International customers are responsible for Customs and Duty Fees. Vaporpuffs is not responsible for these fees and will not pay Duty charges. These charges are at the discretion of your country and are the sole responsibility of the buyer. Import fees and taxes are not included in your order total. You may check with your country’s Customs Office to determine what these additional costs will be, prior to making your purchase. All prices and transactions are in USD. You may be assessed currency conversion or other fees associated with this transaction by your bank or credit card issuer if your card’s currency is other than USD. The buyer is responsible for duties and fees in is country. We offer international shipping to Select Countries at a flat rate of US$39.99! Please contact sales@vaporpuffs.com for more info. Free shipping promotion does not apply for international shipping. For international orders, we are unable to offer a refund policy at this time due to the high cost of shipping plus Customs duties. We apologize for this inconvenience. We ship to England at a flat rate of US$39.99. Do you have to be 21 and over to buy ? You must be 18+ to visit this website and 21+ in the State of California. For more information visit: https://en.wikipedia.org/wiki/Smoking_age. Also by entering this website, you certify that you are of legal smoking age in the state in which you reside. Will it also be discrete on your bank statement? So it doesnt show up on your online banking? It will show Skynet Enterprises, LLC. Do you require signature confirmation when a package is delivered? If require, you can request it as a service when you place your order. Also all our orders over $ 200 require signature. We offer discreet shipping services on all our shipments. Our packages will not display any information that would reveal the box contents. Furthermore, please note that the shipper on the package will appear in some cases as “Skynet Enterprises LLC”. Do I need to sign a paper when my package is delivered? I read one of the messages already posted but, there’s no return address or anything/ you can’t see the sender right? Great question!If you add discreet shipping to your order there will be no trace of the sender on the package. If you would like further detail, we can send that to you via email but we don’t want our discreet shipping process on the site itself! How long would it take to ship to Canada? It will take just 3-5 business days. What do you mean by discrete? What will they do? Our discrete shipping includes an unmarked padded envelope with no indication on the shipping label of the contents inside. Hope this helps! Absolutely! 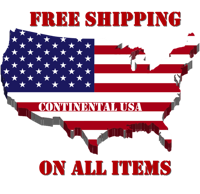 We offer free 1-3 day shipping on all orders within the US. Hello. I’m want to buy the Ago G5 Vaporizer Pen Kit and I’m from Colombia so I wanna know if you can ship it to Bogota-Colombia and how much is it cost?